FICCI completely enjoys and cherishes a huge pool of data of various companies belonging to almost all the sectors of the industry. 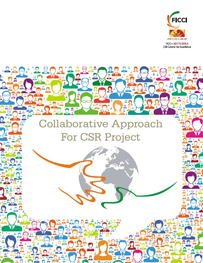 FICCI Aditya Birla CSR Centre for Excellence keeping this in mind took into consideration developing an empowering document to help others undertake appropriately a well thought action in doing CSR in their core business practices. Through the book, “Collaborative Approach for CSR project”, the centre has compiled 23 of the best projects of the companies associated with FICCI Aditya CSR Centre for Excellence , primarily through the application process of our esteemed FICCI CSR Awards.